Possibly one of London’s most famous green spaces, Primrose Hill is an exceptionally beautiful park around 5 minutes walk from Camden Town. The hill boasts stunning, unobstructed views of the London skyline, allowing you to get that workout in whilst enjoying the beauty of the Big Smoke from afar. One of the city’s biggest and arguably most tranquil bits of parkland, coming in at a whopping 2500 acres. Richmond Park is perhaps best known for its 650 deer roaming freely across the park, offering a truly remarkable sight as the herds gather along the park’s roads and pathways. The spot is hugely popular among the fitness fanatics living in the area and it’s not hard to see why. Like Primrose Hill, Hampstead Heath is another of London’s parks offering breath-taking glimpses of London’s skyline – there’s just something about that combination of green spaces and views of the city that make those workouts extra special. Its rolling hills and varied landscape offer up the ideal setting for any workout you fancy, with Hampstead’s great selection of cafés and restaurants also catering for all of your post-workout refuelling needs. 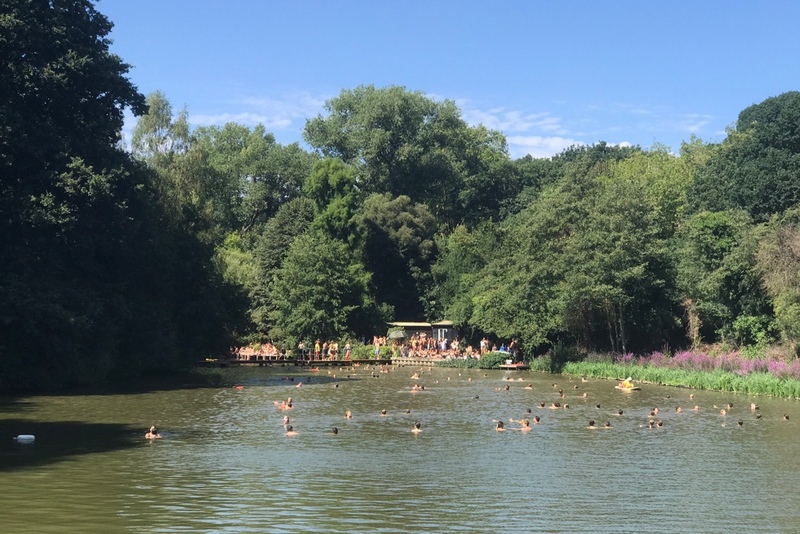 Tip: Hampstead Heath is famous for its Swimming Ponds – dive in and embrace the benefits of outdoor cold-water swimming as mentioned in our last post! Holland Park is a fine example of green spaces offering serenity in the heart of some of London’s busiest areas. Just a short walk from Kensington High Street, its swathes of towering trees along with 22 hectares of well groomed parkland really allows you escape from the hustle and bustle of the big city, with enough space to embrace any kind of outdoor workout. Tip: Hidden within the park is the Japanese-style Kyoto Garden, a gated area awash with water features and koi carp. A great place to for some post-workout reflection and relaxation. Like the sound of the fantastic green spaces mentioned above? Sign up to our waiting list and you’ll be the first to know when Bua Fit goes live! As always, stay fit, stay healthy.